Ann and her husband, Dale, have lived out this message for over 20 years. After hearing a Focus on the Family program on the orphan crisis — and after much prayer — they felt that God was leading them to adopt. 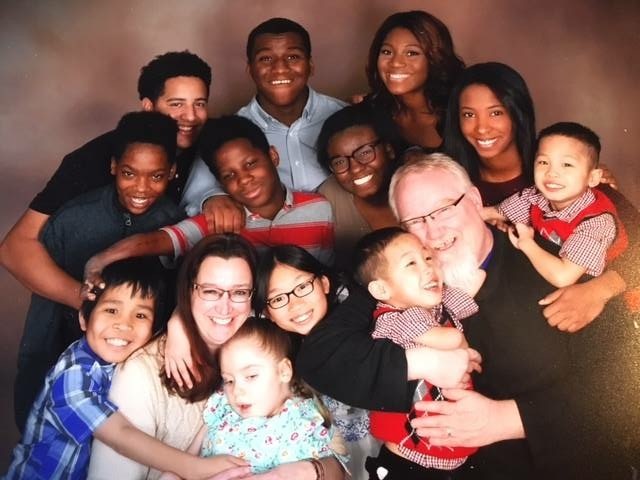 They have two (now adult) biological children and have adopted 12 children (both domestically and internationally), nine of whom have special needs. The McKinney home is full of children… and full of joy. One of these special joys is aptly named Daley Faith, who came to them at the age of four months following a disrupted adoption. It was at this point that Daley’s first adoptive family chose to disrupt the adoption, feeling they were ill-equipped to parent a child in Daley’s condition. 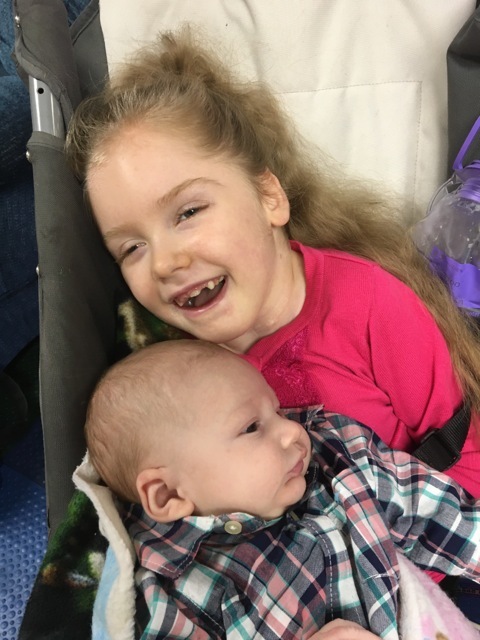 Christian Homes and Special Kids (CHASK), the adoption agency, labeled Daley as a “hospice adoption.” Two neurologists said she wouldn’t likely live to be a year old. 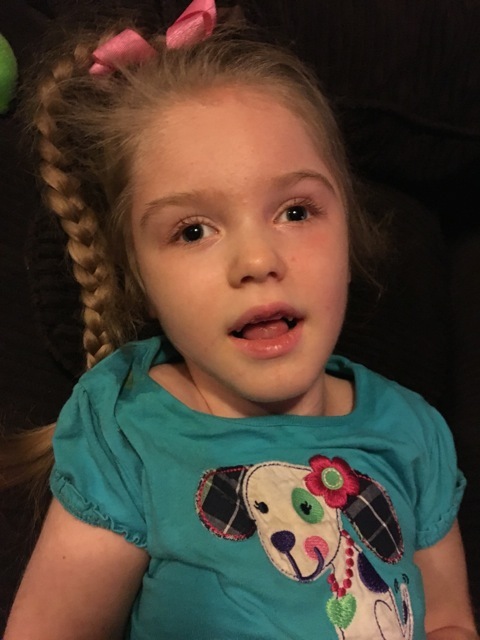 Daley has multiple diagnoses, including hydrocephaly, substantial brain deficiencies, spastic quadriplegia cerebral palsy, epilepsy, cortical visual impairment, and scoliosis. But that didn’t stop the McKinneys, who set out to adopt her immediately, feeling that they “just wanted to love her for the time the Lord allowed her to be with us,” says Ann. And that amount of time has been far longer than what anyone in the medical community predicted. Daley is now eight years old. Ann told Live Action News that Daley “has joy and she brings joy.” While Daley may be different from some children in that she “cannot walk, talk, sit up, or even hold her own head up,” she is like many others in that she “loves Frozen like other little girls, loves cool whip and cotton candy, loves her daddy’s snuggles, loves to swing, and loves panda bears.” People are naturally drawn to Daley. “I truly believe she shares the love of the Lord” with her “beautiful smile,” Ann says. Many parents of children with special needs express their joy at how their children have taught them incredibly valuable life lessons, and the McKinneys are no different. “Daley has taught us to be grateful. To love unconditionally. To see value in all of God’s creation. To never take anything for granted. Daley has taught us that we are capable of so much more than we thought we were. Daley has taught us a deeper love — a love that we feel is very similar to the way the Lord loves us,” Ann says. I thought I was having a heart attack. I began to pray for the Lord to take it from me, when Daley began crying in the next room. I remember saying, ‘Lord, I cannot take care of Daley right now, I cannot even take care of myself!’ She continued to cry and my chest pains got worse and worse. I managed to get up, and picked her up and brought her to bed with me. She isn’t able to move much, but she literally snuggled right into me, nuzzling her little head into my chest and comforted me. Immediately my chest pains were gone. I believe the Lord touched me through Daley this night, and I will never forget the beautiful feeling that came over me as that little girl, who cannot even feed herself, ministered to me.